Sunbury Cross skatepark was designed and built by Gravity and opened in 2011. It is a large all concrete park with a mixture of street and transition elements and can be found in the recreation ground next to Green Street. The skatepark starts on one side with a bowled section that is set up with a mini ramp and a speed corner with extension closing off one side. 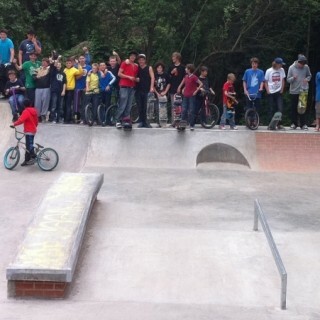 The other side then opens up onto the main body of the skatepark with two hipped banks on either side. Following these on one side is a pump bump with adjoining jump box, and on the other is a flat bank that leads up to a higher level with a rail and hubbas. The back side of the skatepark then has a long quarter pipe that is hipped in the middle and has a bricked section, arch gap and extension. 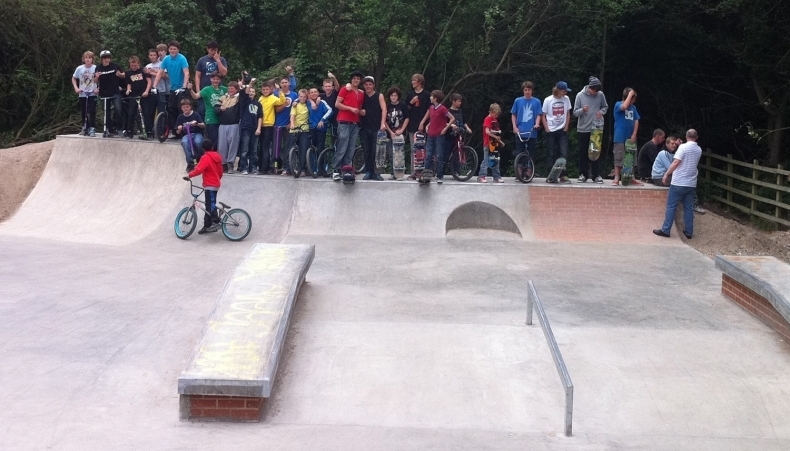 Sunbury Cross skatepark is a great local spot and has a bit of something for everyone. There is a good seleciton of obstacles and they have been well arranged to make good use of the space. It is a good place for beginners to learn the basics but there are also some nice lines for the more experienced skaters too. Sunbury train station: Exit the station onto Station Road and at the motorway junction take Green Street south until the park is on your right. Here is where Sunbury Cross skatepark can be found. Green Street bus stop: Exit the bus onto Green Street and head south until the park is on your right. Here is where Sunbury Cross skatepark can be found.